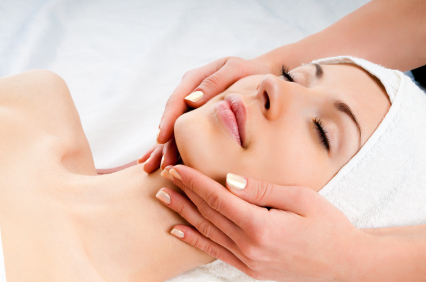 Whether you are experiencing pain, illness or just want to pamper yourself, Airmid Therapies is here for you. For a professional, quality and relaxed treatment for you, a loved one or a friend, contact us today. Gift vouchers are available contact us to order. Relax Kids Classes Now available at Airmid Therapies For more information and to book click onto our Relax Kids Page. A deep tissue massage is designed to relieve severe tension in the muscle and the connective tissue or fascia. Deep tissue massage (also known as myofascial release or connective tissue release) focuses on releasing the deeper myofascial restrictions of the deeper muscles, tendons and ligaments of the body. Hot stone massage therapy melts away tension, eases muscle stiffness and increases circulation and metabolism. Using hot stones promotes deeper muscle relaxation through the placement of smooth, water-heated stones at key points on the body, which may relieve chronic pain and reduce stress. Pregnancy is a wonderful natural part of life but it can sometimes take a toll on your body, especially in the third trimester. Regular massages can ease some of the discomfort you may have and keep you calm and relaxed. This massage is carried out in a seated position with towels used for support. This position is very comfortable for both Mother and baby. Massage is a hands-on treatment in which the therapist manipulates muscles and other soft tissues of the body to improve health and well-being. It helps relieve muscle tension, reduce stress and bring about a feeling of calmness. Please visit our website for more details on each treatment, the benefits, what is involved and after care. www.airmidtherapies.com and visit www.airmidescentuals.com for handmade aromatherapy products. As standard, book five treatments, get the sixth session free (payment in advance). Gift vouchers available - order online or call us. Visit www.airmidtherapies.com for the latest offers and discounts available. Visit www.airmidescentuals.com for a range of aromatherapy candles handmade by us. *excluding hot stone therapy. Choose either 1 hour or 1.5 hours. Also available to give talks and demonstrations or mini treatments to groups. We accept cash or card payments. Both Sterling and Euro accepted. Airmid Therapies is located in the heart of Newry and Mourne, in the distinctive Ring of Gullion, an idillic surrounding in an Area of Outstanding Natural Beauty (AONB) which conveys a calm atmosphere and a sense of well-being. We are three miles from Newry City and two miles from the Southern border. Ample parking is available.